When you write a story, you’re never going to see it the same way a reader would. Because you’ve spent so much time thinking about it, writing it and revising it, it becomes impossible to separate the story that exists in your mind from the one that exists on the page. And that’s why reviews, and other people’s opinions, are so important. That’s how you find out what worked and what didn’t. 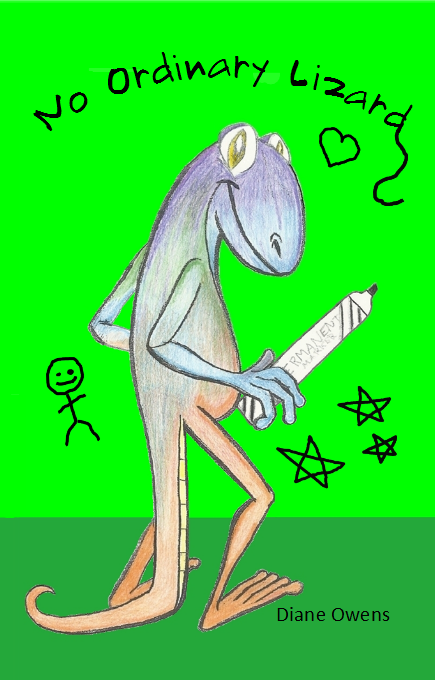 I wanted readers to fall in love with Benson, the lizard (and star) of this story, but I honestly didn’t know if anyone would. So yes, it feels awesome that Benson’s earned himself some shiny bling. But. This is just one person’s opinion. What I really want to know, what I really care about, is what you think. So I’ve made the ebook free at all major retailers and priced the paperback edition as low as Amazon allows. All I ask is that you give me your honest opinion by posting your review on Amazon. Thanks for reading. Thanks for reviewing. I’ll be over at Amazon, ready to read your opinion as soon as it comes in. Yes, it does matter that much. After all, I wrote this story for you. 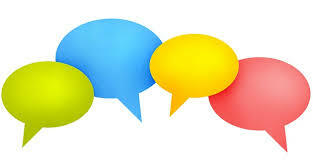 Many of you have left comments and questions under the Share Your Writing page. It makes sense because that’s what most users have questions about. However, I think all those comments might be confusing to new users. So I’m trying something new. From now on, if you have a comment or question about the site or posting, I’ll copy and paste it here on the home page. I’ve been thinking, I’d like to focus my attention to two or three stories at the most, instead of turning every idea into a story that I never finish. I feel overwhelmed at all the stories I’ve started, and I know that I probably won’t finish them all. So do you think I could remove Annavava, twilight hero (both versions) and Eagle? I know that’s a lot but I don’t think I’ll be working on those stories anymore, or at least for a while. It’s no problem removing stories from the site. Just make sure you have a copy of your own before you ask me to. You might change your mind and feel like working on them again someday. From now until December 30, 2014, The Young Voices Foundation is accepting short stories from students in grades K-12 for their writing contest, Young Voices of America Tell Their Stories. You can write any type of story you want but the story can’t be longer than 10,000 words. Follow this link to enter and make sure you read all the rules. Thanks, Mikaela, for sharing this contest with us. Good luck to everyone who enters! Not just for 3rd, 4th, and 5th grades anymore! 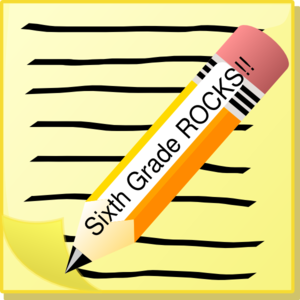 The site now includes kid-friendly writing rubrics and checklists for 6th grade. Based on the Common Core Standards. Free. Easy to use. Complete. Get yours here. Neve has risen to the challenge and continued the group poem, Unicorn, with two awesome verses. Follow the link to see how she did it. Awhile ago, Elsy asked for suggestions on how we might celebrate the site’s birthday, which is February 4. Mikaela responded by suggesting a writing contest. I’d like to know how everyone feels about this idea. Feel free to comment below. Mikeala came up with a fantastic idea for Group Projects: working together to write poetry. Someone would write the first verse, then someone else would write the second verse and so on. She’s done this with her friends and I think it sounds like a lot of fun. So I’ve added a new section called Group Projects~Poems. You’ll find it listed over there on the right – keep scrolling down! To get started, select this link: Instructions. You’ll find some topics you could write about, but don’t feel like you’re limited to these topics – you can start a poem about anything you wish, as often as you’d like. Just remember that if you’re starting a new poem, give it a title so I can list your poem under the Group Projects~Poems section for others to discover, read and continue. Thanks for the suggestion, Mikeala – I love it! Lots of Great Writing and Our First-Ever Reader Poll! Go grab something good to drink then hurry and come back. 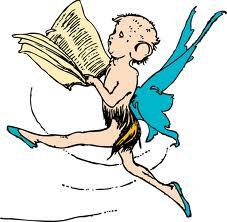 There’s plenty of great fantasy to read and comment on today! In Chapter Four of Auras, Elsy cranks up the tension by letting us see how horrible the bad guys are. In Chapter Four of Elsy’s Marked Five, you’ll be thrilled to learn what the title of this story really means. Neve introduces a dangerous and deadly beast in her fantasy, Flight. She also requested our first-ever reader poll. I’ve included it at the end of her submission. Please take a second to add your vote to this poll. I know she’ll appreciate it! I love being able to share all these great ongoing stories but remember: If you’re submitting a continuation of an ongoing story, please include the story’s name. We’re getting quite the collection and it really makes it easier on me. Thanks!